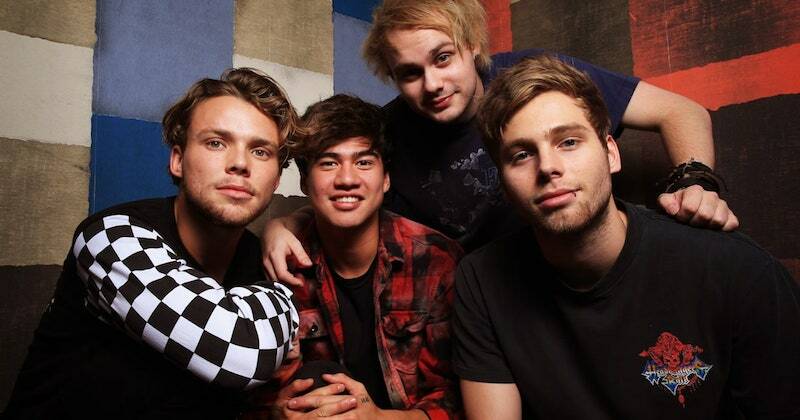 5 Seconds Of Summer are available to book for your special event – we work in direct association with 5 Seconds Of Summer’s representative as a booking agent for them. 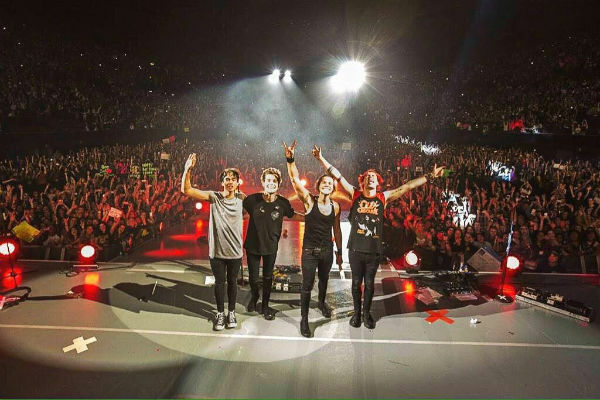 5 Seconds of Summer are Luke (vocals/guitar), Mike (vocals/guitar), Ashton (vocals/drums) and Calum (vocals/bass). On December 3rd 2011, 5 Seconds of Summer played their first gig at The Annandale Hotel in their home town of Sydney, Australia. 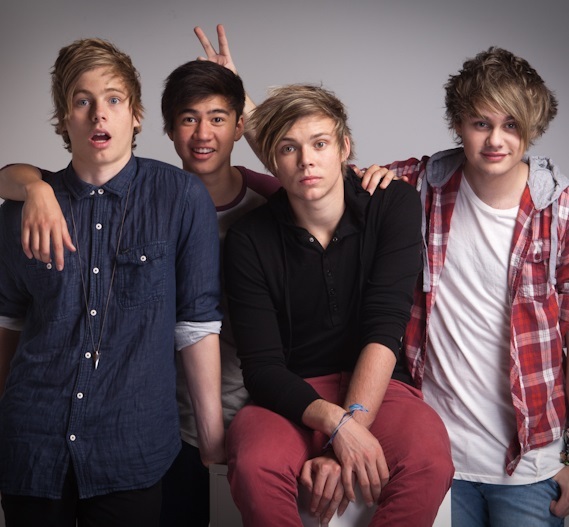 5 Seconds of Summer met between a modern congregation of the schoolyard and YouTube in the Western Sydney suburbs. They all have regular backgrounds: two of them didn’t finish school and they held band practice in their parents’ houses. A local fan base quickly grew around the band when they started posting songs on YouTube. 5 Seconds of Summer ‘s first break came supporting Hot Chelle Rae on a tour of Australia. Buoyed by the confidence gained from their first support slot and increasing their loyal fan base by social media, they toured the country on their own before supporting One Direction on their Take Me Home tour. In the downtime between a 12-month touring schedule that took them across the globe, 5 Seconds of Summer wrote and recorded their EP and debut album. The sessions took place on both sides of the Atlantic with every song a mixture of rock and pop’s old and new school alumni. Key collaborations include the Madden brothers of Good Charlotte, John Feldmann (All Time Low, Boys Like Girls), Jake Sinclair (Fall Out Boy, Pink), Steve Robson (Busted) and Roy Stride. The self-titled debut album was released on 30th June, instantly topping the iTunes chart in 71 countries. It debuted at No.1 on the US Billboard Chart with the biggest first week sales of a new artist debut in 2014, and made 5 Seconds of Summer the first Australian act to debut at No.1 with their first full-length album. This followed the band’s first two singles She Looks So Perfect and Don’t Stop. She Looks So Perfect reached the No.1 spot on iTunes in 49 countries. The E.P. also debuted at #2 on the Billboard 200 in the US, the highest debut by an Australian band since 1992. 5 Seconds of Summer followed this up with two more successful singles, Amnesia and Good Girls. 5 Seconds of Summer released their first live album ‘LiveSOS’ on 15th December 2014, supported by a video for their cover of the Romantics’ ‘What I Like About You’. 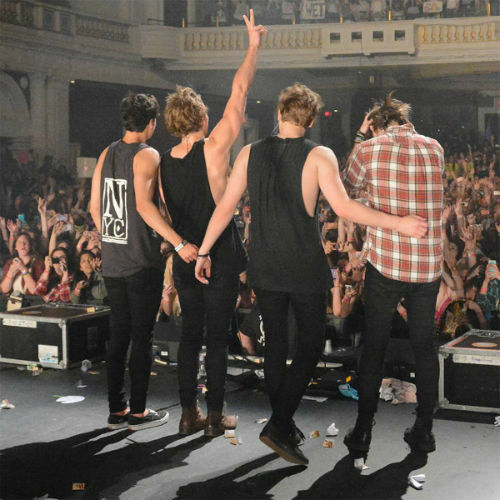 5 Seconds of Summer spent 2014 playing sold out tours across America, Australia and the UK. They followed this by joining One Direction on their US, UK and European legs of the Where We Are Tour. 5 Seconds of Summer embarked upon their ‘Rock Out With Your Socks Out’ world tour in 2015, starting in Europe in May before heading to the UK. 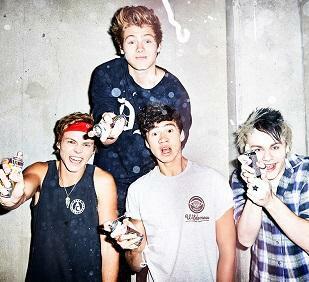 As a booking agent for 5 Seconds of Summer we can organise for them to perform at your event. 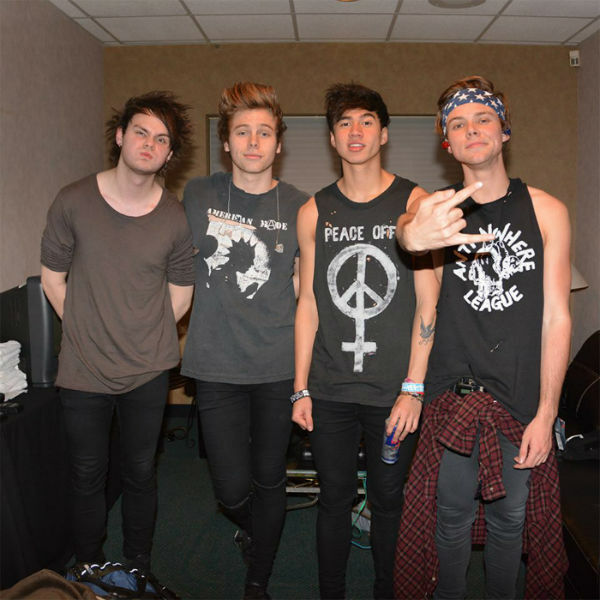 To hire 5 Seconds of Summer call Contraband Events as we can make it happen. We are booking agents for a huge selection of famous musicians to hire, and we can recommend the best artists for your entertainment. 5 Seconds of Summer can be booked to play at your private or corporate event through Contraband International. Make us your preferred booking agent.